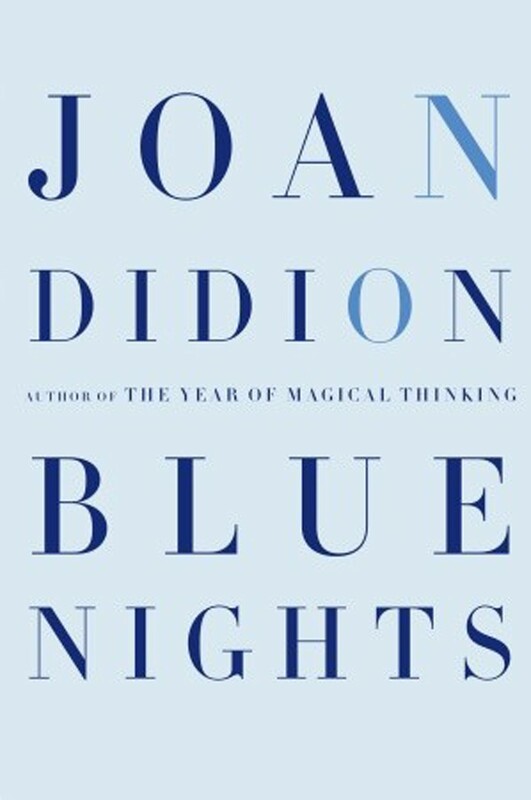 A lot can be said about the emptiness and despair at the heart of Joan Didion’s memoir Blue Nights, and a lot has already been said. John Gregory Dunne, Didion’s husband and the subject of her previous book, The Year of Magical Thinking, died of a heart attack in 2003, only a few weeks after Didion’s daughter Quintana Roo Dunne Michael was first hospitalized for freak complications caused by pneumonia. Quintana died 20 months later. Though it’s hard to conceive of Joan Didion—never without her aviators, cigarettes, bourbon, and aspirin, the quiet, tiny badass of ‘60s and ‘70s California, the author of the haunting novel Play It as It Lays, and the best essayist alive—as having crippling fears and failings, she does have them. And they are all in this book. Amid her usual cutting and precise observations and declarations, more unfamiliar confessions, anxieties, and despair seep in. Her control over the narrative wanes, and she’s back again to that poem Quintana wrote as a child, the same words she once spoke repeated over and over. Although her tone is distant and hard, almost as if she were reporting on someone else’s grief rather than examining her own, the pain is undeniably present. Blue Nights isn’t the working- through of her grief; it’s a formalized, precise, and public acknowledgement of the end. Reading through Didion’s numerous descriptions of her own health problems, including her “neuritis, a neuropathy, a neurological inflammation,” you can’t help but think about when Didion herself will die. Kurt Vonnegut, Susan Sontag, and David Foster Wallace have recently left us, denying us further words of wisdom. What will it be like to have one less person who can sharply and dutifully tell us what we’re doing wrong?